While digital marketing is all the rage, the role of social media in digital marketing is also on the rise. Social media is deeply integrated into our daily lives and the marketing industry. Contemporary marketing is highly dependent on digital means of communication, including social media. Marketers find social media extremely effective, influential and inexpensive. Social media enables them to approach and communicate with larger and more diverse audiences, spreading the message in an effective manner. Social media also lets you locate and find more about your target audiences to aid your marketing strategy, from the comfort of your room. 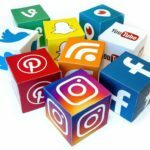 You can utilize and optimize social media according to your marketing needs, in order to engage and interact with your target audiences and potential customers. Social media generates almost double the marketing leads when compared to telemarketing, direct mail, Pay-Per-Click, and trade shows. Experts also claim that social media leads conversion rates are higher than the average lead conversation rates. Social media’s influence on purchasing decisions is also evident. About 81% of consumers are influenced by social media posts and about 79% consumers have liked social media pages of a brand. The timing of your posts on social media is an extremely important and somewhat decisive factor in social media marketing. Timing can be a deal maker or deal breaker in your marketing strategy. The level of engagement you’re going to draw is highly dependent on your timing, hence precise and accurate timing is required to maximize engagement. Brands tend to draw maximum engagement around their posts, in order to communicate their message effectively. Higher engagement also indicates a higher level of interest from consumers. Businesses can record and measure engagement around their posts to calculate their growth and brand loyalty. Higher engagement levels also enable brands to boost brand awareness, drive sales and encourage consumers to create user generated content. As far as your business is concerned, you want your content to appear more frequently on consumers’ feed. For this, you’ll have to schedule your posts at times when your audience is the most active. Obviously, due to diverging time zones, there are always users active on social networks around the globe but you need to schedule and time your posts according to your target audience. You can use an effective social media management software tool that can schedule your posts at the times you want. So, what are the best times to post content on social media? The largest social networking platform is still social media marketers’ leading choice. With about 1.86 billion monthly active users, Facebook is the most widely accessed social network amongst all. With Facebook’s confusing and ever-changing algorithms, it’s hard to get your posts higher up the feed, through organic means, hence timing strategies can be highly rewarding here. Even though Facebook users are active throughout the day, there are some specific days and times when they are the most active and your posts are likely to draw the most response. The best days to post content on Facebook are between Wednesday and Sunday inclusive, with Thursday being the ideal day whereas Monday is the worst day to post content as engagement rates fall 3.5% below average for posts uploaded on Monday (and Tuesday). Wednesday to Sunday afternoons are preferable times to publish content with 1 p.m. on Thursday being the optimal time. Instagram has emerged as an influential and effective platform for marketing. Experiencing a remarkable rate of growth, this social networking platform now boasts over 600 million active monthly users, making it one of the biggest social networking platforms. Instagram marketing has recently become an integral element of mainstream social media marketing strategies. Marketers also acknowledge Instagram marketing due to the high rates of engagement offered. Forrester Research concluded that the rate of user interactions with brands’ as a % of brands’ followers offered by Instagram is 58 times greater than that offered by Facebook. Even though Instagram’s accommodating algorithms ensure that your followers never miss a post, you can optimize timing strategies to maximize engagement and yield likes, views and comments. Instagram users are usually active throughout the day and it is absolutely fine to publish posts throughout the week barring weekends when the engagement rates fall. The times that yield the highest response and engagement on Instagram are 1 p.m., 2 a.m., 8 a.m. and 5 p.m. The period between 3 p.m. and 4 p.m. would be the worst to upload Instagram posts. A social network widely used by professionals as well as celebrities, Twitter is an extremely useful platform to spread and circulate any message. The timing of your content on Twitter is quite decisive. With a flawless timing strategy, you can optimize the maximum potential out of your audience. In the case of Twitter, Monday through Thursday are the strongest days to post content, with noon on Thursday being the optimal time. Early morning and late nights are the least-recommended times to publish content on Twitter. Also known as the ‘professionals’ social network,’ LinkedIn is a great platform to communicate your message and engage with the ‘right’ people. Brands can utilize LinkedIn to reach key audiences and interact with relevant professionals. However, the timing of content is extremely important. As LinkedIn caters a large proportion of professionals, working hours on weekdays are the optimal times to publish content. To be precise, Tuesdays, Wednesdays, and Thursdays are the ideal days with noon and 5pm the most optimal times to publish content. It is not recommended to publish LinkedIn content on weekends, as the engagement rate becomes fairly low. Pinterest is another emerging social networking platform. This unique social network currently hosts about 100 million users. Identifying and utilizing the best times to post content on Pinterest is likely to benefit you. In this case, Saturday is the ideal day to publish content with Friday and Sunday as highly recommended days too. The most optimal posting times are 2 p.m. and 9 p.m. on Sunday whereas late nights aren’t bad either. Sunday is the least optimal day to post content on Pinterest. For information on a related topic, read our article on how social media marketing can enhance leads for B2B companies. How can forums hurt you if not managed properly?